(1) Mon May 21 2012 11:33 118 Fifth Avenue: Marcel Duchamp's readymade urinal Fountain plays a small but important part in Constellation Games. As I was writing the commentary for the chapter where it shows up, something started nagging at me. Something that had been bothering me for a while in a low-key sort of way. 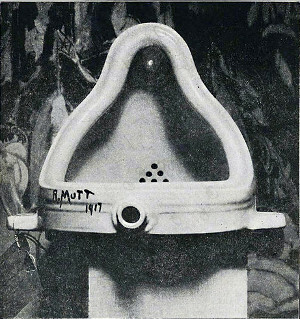 It's well known to Duchamp fans that ol' Marcel bought the Fountain urinal from the J. L. Mott Iron Works at 118 Fifth Avenue in New York. That's the story, anyway; I don't really trust anything Duchamp says about his readymades, for reasons documented elsewhere in this weblog. Anyway, the thing that's been bothering me is: what's at 118 Fifth Avenue now, ninety-five years later? Can you still buy a urinal there? Probably not. 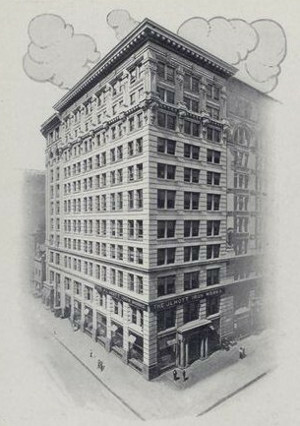 Over the past hundred years all the plumbing supply stores have been pushed off Fifth Avenue and onto the side streets. But maybe there's an ABC Carpets there that sells overpriced toilet lids or something. I decided to go check. The stupid thing is, I pass 118 Fifth Avenue all the time. It's right near City Bakery and the Union Square farmers market. But I never bothered to figure out which building was 118, until Saturday, when I went out with my camera and verified that 118 Fifth Avenue is now a Gap Body. To the right you can see the same building in 1911, when it was the iron works. (Presumably just the showroom; the NYT says the factory was moved to New Jersey in 1902.) The facade clearly hasn't changed since then. Here's a Google Street View link that tries to copy the angle of the 1911 drawing. 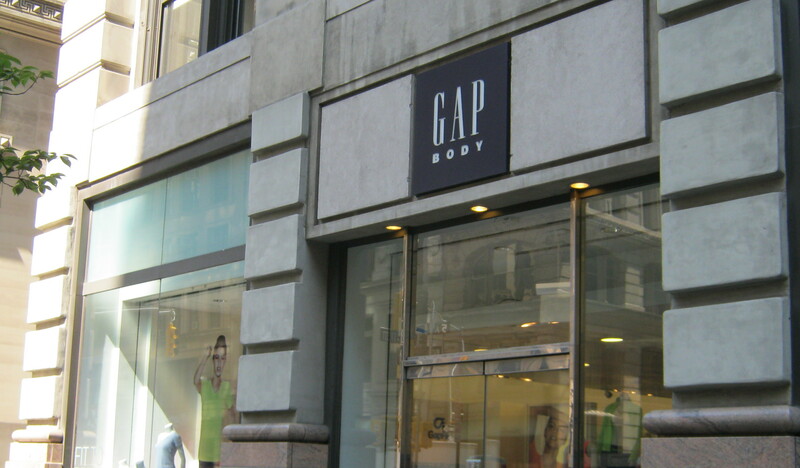 Gap Body is exactly the sort of disappointment I was expecting, so I'm not really disappointed. I am glad to know exactly when I'm passing that little bit of art history. And here's a free idea for all you up-and-coming artists: buy a readymade tank top from that Gap Body and present it as a sequel to Fountain. PS: this 2010 post on Ephemeral New York talks about statues atop 118 Fifth. Those statues are actually across the street, atop 91 Fifth, currently a J. Crew. This confused me greatly while I was out there, so I want to put an explicit correction on the web. Image credits: Alfred Steiglitz, J. L. Mott Iron Works, yours truly. 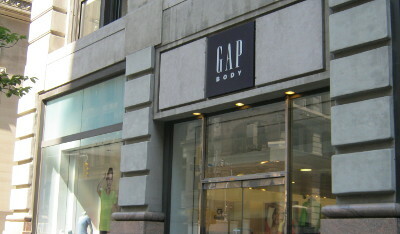 You were expecting the GAPbody because it doesn't get more quintessentially disappointing than that.